The Zinalrothorn lies between the Matter valley and the Val d’Anniviers to the west, just a few kilometres from the Weisshorn and Dent Blanche. Its distinctive summit seems to lean at an angle; the rock is of very good quality. 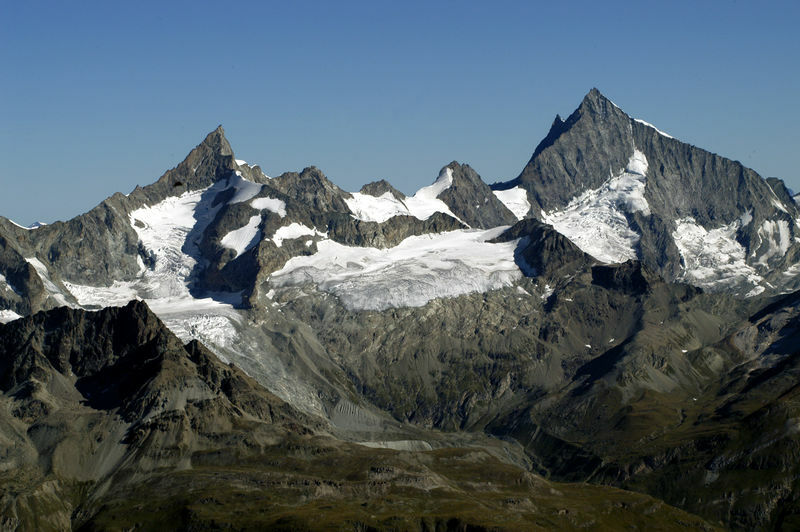 The Zinalrothorn is a classic alpine climbing peak. 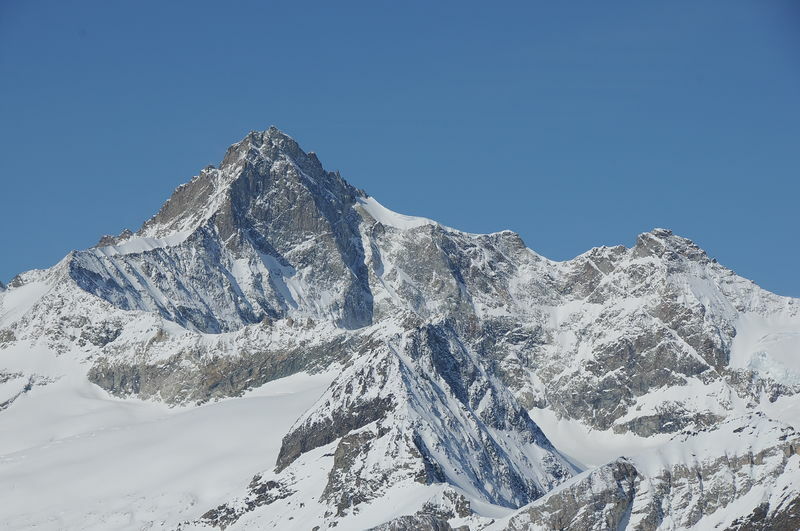 The Rothorngrat ridge (south-west ridge) is regarded as one of the best rock climbs in the Zermatt area. 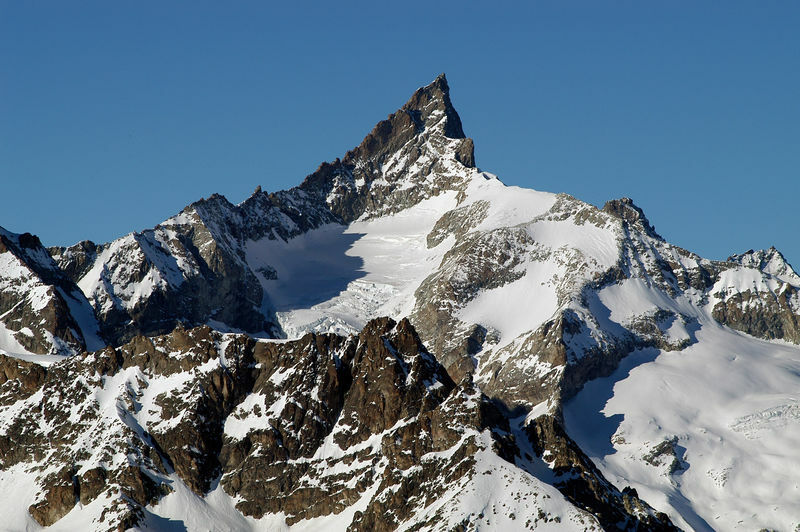 The municipality of Zinal, in the Val d’Anniviers, gave the Zinalrothorn its name. Until the advent of Alpine tourism, however, the mountain was known as the Moming, after the Moming Glacier to the north. 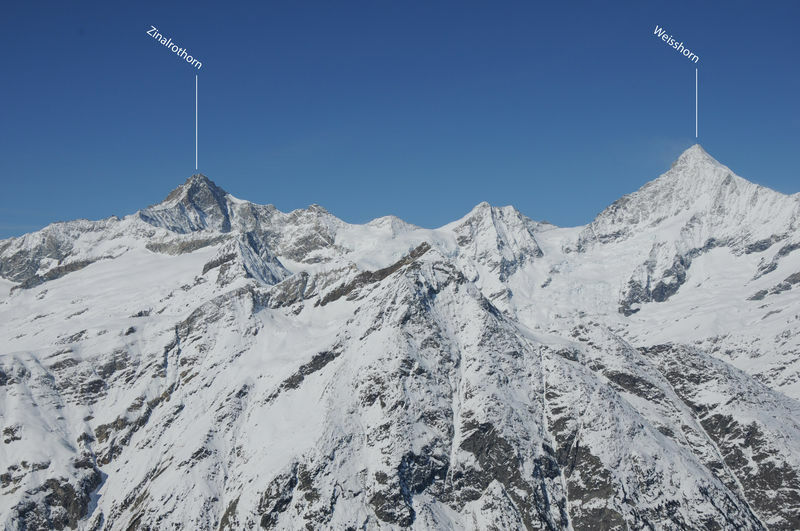 There is hardly a climbing report on the Zinalrothorn that does not mention the Binerplatte on the south-west ridge. A diagonal fissure leading up and left is secured with pitons, and climbed in a single pitch. It is named after the Zermatt mountain guide Joseph Marie Biner, who was killed in an accident at this spot in 1894 together with a guest.